The Sultans of Swig Home Brewers Club and Buffalo Iron Works sponsored the 4th Annual “Santas of Swig” homebrewing competition and fundraiser on December 1 to benefit our Hope Center. There was a great turnout as folks lined up to sample beers from 20 different homebrewers and cast their vote for the best brew. Guests generously donated a carload of toys for our Hope Center’s Christmas Giveaway and raised nearly $3,000 for our programs. A huge thank you to our friends at the Sultans of Swig, Buffalo Iron Works, and everyone who came out to participate and support our agency! Attention, lovers of good beer! Next month, the Sultans of Swig will host their 4th annual Santas of Swig homebrewing competition and fundraiser to benefit the Matt Urban Hope Center. 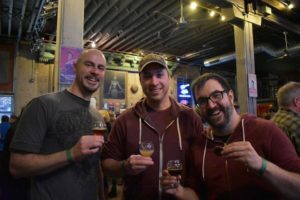 Over 20 Homebrewers have donated their beers to help raise money and awareness for our organization. Cost of admission allows you to sample 20 different beers and cast your vote for the best one! There will also be basket raffles with products from local breweries. Presale tickets are available through the Santas of Swig website or at the door. Spring has officially sprung! To celebrate the First Day of Spring, we are participating in the United Way’s annual #SpringitOnWNY fundraiser. From 6 p.m. on March 20 to 6 p.m. on March 21, the Matt Urban Center will be accepting donations through our Spring It On fundraising webpage. This is an opportunity to show your support for the Matt Urban Center and the work we do to support residents of the Broadway-Fillmore neighborhood – from youth, to families, to senior citizens. No donation is too small and every bit helps! Your donation will allow us to continue providing essential human services programs to our neighborhood and beyond. To learn more about our agency and to make a donation, click here to visit our #SpringItOnWNY fundraising page. Save the Date: Dyngus Day 2018! 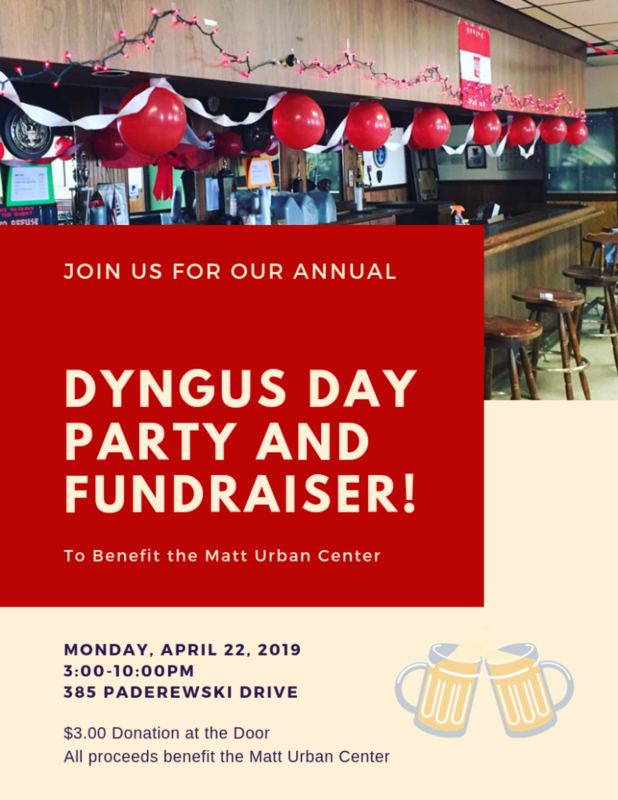 Mark your calendars for Monday, August 2, 2018 for our annual Dyngus Day celebration and fundraiser at the Matt Urban Hope Center! Stop by 385 Paderewski Drive between 3:00 and 10:00 p.m. for Polish food, Pilsner and Polka music! All proceeds will go to the Matt Urban Center. 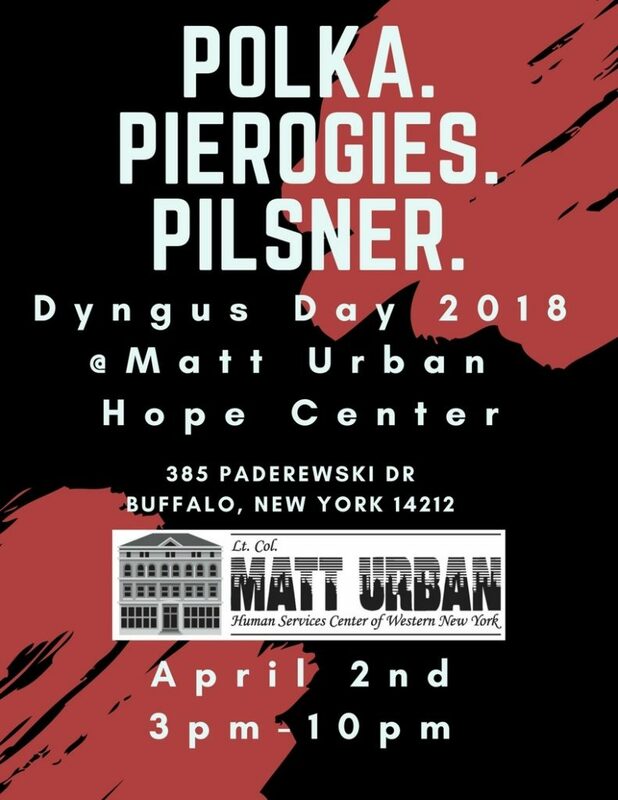 Also – If you’re attending the Dyngus Day Parade, keep an eye out for our Matt Urban Center team!